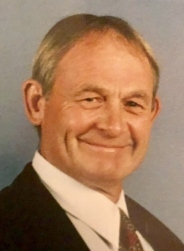 A.David Stoddard, 70 years old, a resident of Bigfork, Montana passed away at 7:45am on July 22nd, 2018 after several difficult months dealing with inoperable pancreatic cancer. He was surrounded by his surviving family during this time, his wife, Pamela and their children; Benjamin, Michelle, Michael, Lisa and Zachary and grandchildren; Corben, Beauden, Ashton, Fletcher, Duncan and Sophia, who all loved him so much. A.David was born on November 29th, 1947 to Ray & Edith Stoddard, of Idaho Falls, Idaho and was married to Pamela Ruth Jensen on September 10th, 1971. A.David was a beloved husband and father that has left behind the legacy of a true teacher and creator. He found value in everything he touched and found lessons in life’s challenges. His unique vision allowed him to create the extraordinary from the ordinary. He lived every day to the fullest, never forgetting to enjoy the moment. An advocate for the underdog, he was always quietly helping a stranger or friend in need. He was never afraid to stand alone or face his fears if he felt it was the right thing to do. He taught honesty, sacrifice and respect by example. As an accomplished businessman and craftsman, he has owned and actively managed and worked in his own businesses from hardware stores like Coast to Coast hardware to framing and construction companies, such as T & S Frame & Finish and Stoddard Builders over the past 30 years. Beyond that, he has been a chairman of city planning commissions, a church leader, a youth role model, an agriculturist, and independent thought leader. His free time was always spent with his family or working on his many projects and hobbies. He could often be found in his shop working on cars like his own Ford Model “A” and Dodge Dart as a past time, a love that developed early in his youth. As an avid big game sportsman, marksman and fisherman, he dedicated time in Wyoming, Montana and Alaska. He lived his life the way he designed it. A. David taught his children by example, to always be charitable, kind, selfless, independent, industrious, resilient and relentless in their pursuits. But most importantly, his passion for always doing the right thing was his greatest teaching. Faced with the most challenging situations, he taught to use a strict moral compass to guide you through even the most impossible situations, turning every negative into a positive. He believed that with the power of faith, focused attention, hard work and imagination, he could achieve anything and overcome any obstacle. He used this gift not only for the teachings in his own family, but to always actively serve the less fortunate every day without being asked to do so first. Those that know him were touched by this act of love and selflessness and will always remember him. Special thanks to everyone who has provided support to A. David and his family during these last few months. The family sends their sincere gratitude for the generosity and outpouring of love that they have received from everyone. An intimate event to celebrate his life will take place on August 19th, 2018. Details will be announced.